A report by a committee of independent nutrition experts has recommended that everyone in the UK should take vitamin D supplements, instead of just some groups of the population. Why? What is the new guidance? This new advice applies to England and Wales. Health officials in Scotland and Northern Ireland say they have updated their guidance in line with the new recommendations, but only for people aged over six months. The Department of Health in England commissioned the report to find out whether it should change its advice on vitamin D.
The Scientific Advisory Committee on Nutrition (SACN) has looked at the issue and produced the new advice. The aim is to ensure that the majority of the UK population has enough vitamin D in their blood to protect the health of their bones, all year round. Where can you get supplements? For pregnant women and some children up to and including the age of four, the supplements will be free under the government's Healthy Start scheme. Others can buy vitamin supplements at most supermarkets and pharmacies. The Department of Health will now have to decide whether to fund free supplements for other groups of the population. Vitamin D plays an important role in regulating the amount of calcium and phosphate in the body. This means it is essential for bone health. Without enough vitamin D, bones can become thin, brittle and misshapen. In extreme cases, this can lead to rickets in children, which softens the bones and can cause fractures and deformed legs. In adults, this can cause pain and muscle weakness. 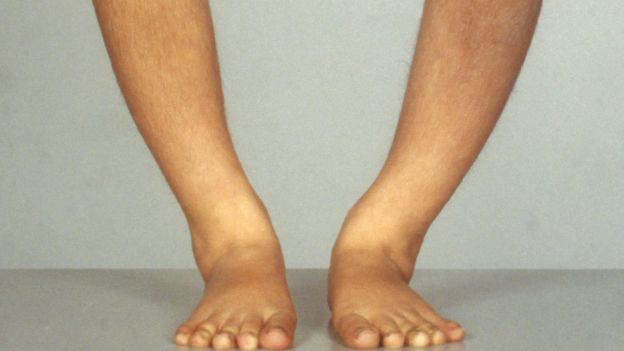 There is also an adult version of rickets known as osteomalacia. Why aren't we getting enough vitamin D? Limited amounts of the vitamin are found in foods such as oily fish, liver, eggs, milk, fortified cereals and fat spreads with added vitamin D.
But for most people, the bulk of their vitamin D is made from the action of sunlight on their skin (which contains ultraviolet B radiation). During autumn and winter, sunlight is in short supply, particularly in countries north of 37 degrees latitude, which is from Madrid northwards. 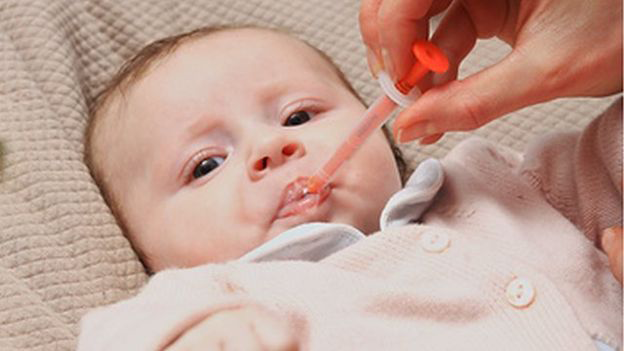 Official estimates suggest one in five adults and one in six children in England may have low levels of the vitamin in their bodies. How do you balance sunlight exposure with the risk of skin cancer? The report doesn't say how much sunlight is required to produce enough vitamin D because it says there are many factors that can affect how much is produced in the skin, including skin type, location, air pollution and cloud cover. 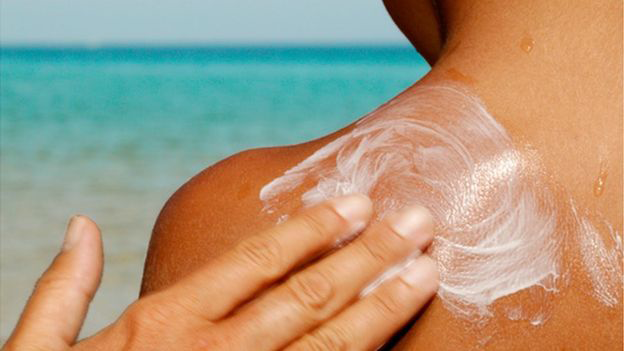 However, experts say it is important not to let the skin burn when it is exposed to the sun because this can cause skin damage and increase the risk of skin cancer. 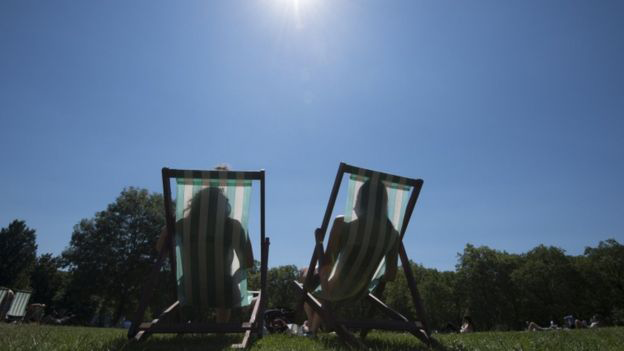 The NHS Choices website says most people can make enough vitamin D from being out in the sun for short periods with their arms, hands or lower legs uncovered and without sunscreen from late March or early April to the end of September. If you plan to be out in the sun for long, the advice is to cover up with suitable clothing, wear wrap-around sunglasses and apply at least SPF15 sunscreen. People with dark skin, such as those of African, African-Caribbean or south Asian origin, need to spend longer in the sun to produce the same amount of vitamin D as someone with lighter skin. Can you consume too much vitamin D? Anyone with a chronic condition or taking medication should seek advice from their doctor before taking supplements. 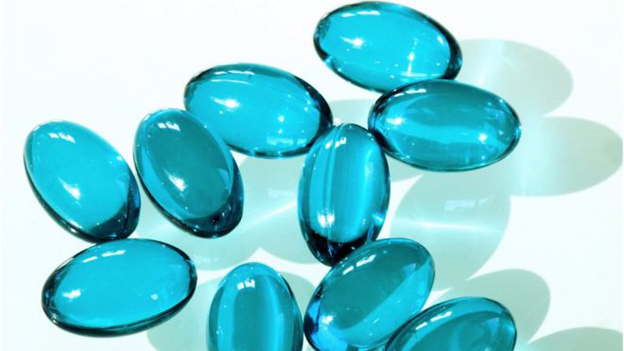 Too much vitamin D can lead to high levels of calcium in the blood which can cause heart and kidney problems. Shouldn't a healthy, balanced diet be good enough? A healthy, balanced diet is always recommended and with exposure to summer sunshine, many people may get enough of the vitamin D they need. But some groups of people who are at risk of vitamin D deficiency need extra help with reaching those vitamin D targets. 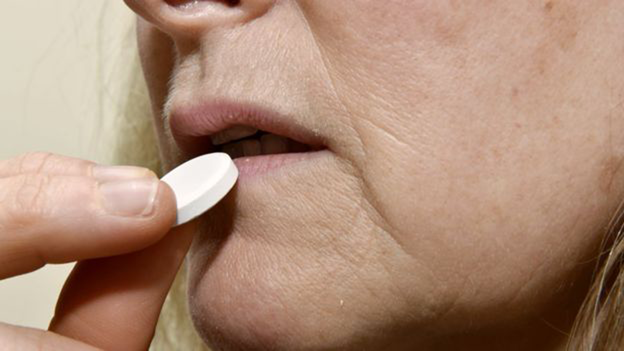 And this new advice suggests we should all consider taking supplements, just in case. What is the advice in other northern countries, such as Scandinavia? In countries such as Sweden, Norway and Denmark, children and adults are advised to take 10 micrograms of vitamin D supplements a day and this rises to 20 micrograms for at-risk groups and people over 75 years old. Many food products in those countries are also fortified with vitamin D, such as milk, cooking oil and butter.